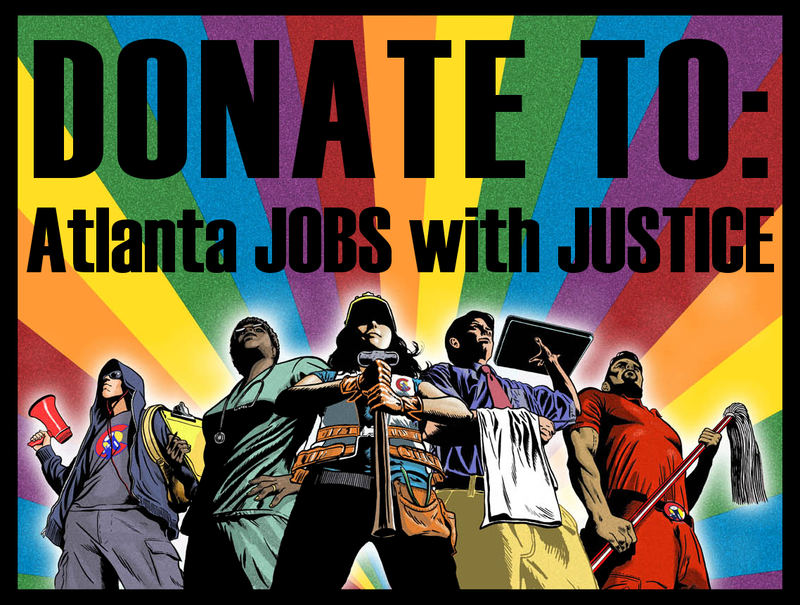 Please donate to Atlanta Jobs with Justice to help us fight for workers rights and economic justice! Also you can become a Jobs with Justice Sustainer and give $5, $10, $25, $50, $100 or other amounts of your choice on a recurring basis. These donations go a long way toward building a stronger movement for working people and helping Atlanta Jobs with Justice stay up and running. Donate to Atlanta Jobs with Justice! You may receive updates from Atlanta Jobs with Justice, the sponsor of this fundraiser.